The community's understanding of halal continues to grow. Halal is no longer just a question of whether a food or drink can be consumed, it has become an important part of the industry. "Halal is a brand and synonym of kindness, so that a number of neighboring countries in Asia such as Japan, Korea and even Australia do not hesitate to develop halal tourism as a brand." They even have Muslim travel guides for additional services, "said Sapta Nirwandar, Deputy Minister of Tourism and Economic Creation of the SBY-Boediono Government. 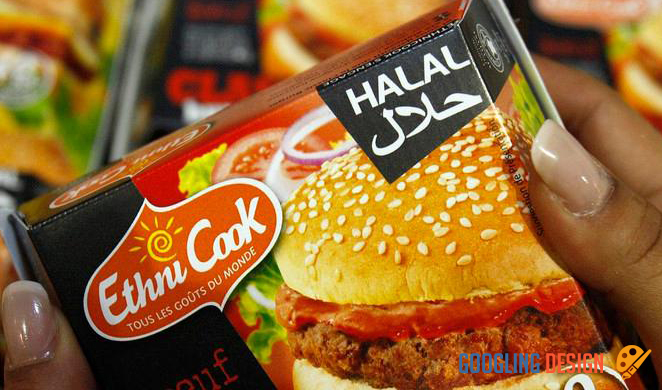 Halal means, in their native language, authorized. Opponents of this word, haram, include things forbidden in Islamic teachings, such as pork, usury, gambling, and so on. However, as Reja Hidayat of Tirto said, becoming a spectator of the halal industry, Malaysia is far better than Indonesia in halal production. In general, Indonesia ranks 10th. "The Malaysian government is fully supportive of the development of the halal industry, an allied country that fully supports halal products, both through its development, socialization and production." This has a positive impact on Malaysia's position in the country. as the winner of three halal product sectors, namely halal food, sharia finance and halal travel, while for halal pharmaceuticals and cosmetics, Malaysia is ranked second in the world, "Reja wrote. . Although not a top producer, a number of Indonesian institutions and companies aiming to create and maintain a commitment to guarantee halal products and services look like clean air. One of them came from the Institute of Food Medicine and Cosmetics Studies of the Indonesian Council of Ulemas (LPPOM MUI), which regularly awards Halal prizes. This year, the Halal Award was presented at the Indonesian International Halal Expo (INDHEX), which took place from 1 to 3 November 2018 at the Smesco Convention Center, Jalan Gatot Subroto No. 94, Jakarta. In this case, Wall's ice cream producers won the Halal Top Brand 2018 Ice Cream category, a performance they have always achieved in the last three years. "In the 26th year of Wall in Indonesia, it is a great pleasure that this year, for the fourth time, Wall is considered one of the winners of the Halal Top Brand category, especially for the ice cream category", said Amalia Sarah Santi's Head of Marketing Refreshments. Award The halal Top brand involves a jury consisting of LPPOM MUI (to observe the company's kosher certification) and MUI (to examine the brand's character in terms of Sharia lifestyle), up to a consumer survey. .
LPPOM MUI conducted a special survey to measure the company's or brand's commitment to the promotion and socialization of halal. The survey was conducted at www.halalmui.org with 4,200 consumers across Indonesia. On a global scale, the halal industry is expected to grow significantly in line with the growth of the Muslim population. By 2022, the potential is estimated at 3.1 billion US dollars. In other words, the industry has a promising and huge market potential. "Hopefully, this award will further strengthen consumer confidence and loyalty in consuming Wall products, all of which have received halal guarantees from LPPOM MUI," Amalia said.